St Kilda’s first to fourth-year players have officially hit the ground running this pre-season. 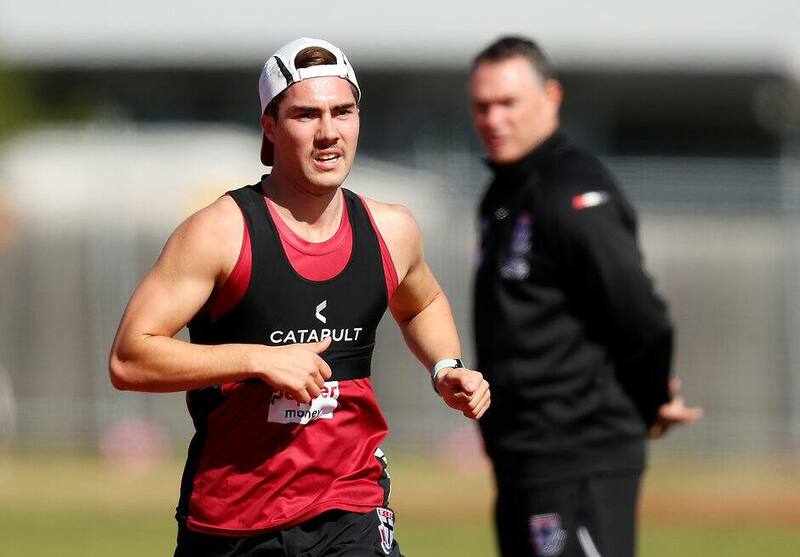 After reporting back for their first day on Wednesday, the young Saints kick-started their second with a three-kilometre time-trial at Bricker Reserve, Moorabbin. Regular suspects Jack Sinclair and Ed Phillips picked up where they left off last summer, while mature age prospect Tom Jok has staked his claim for draft selection after crossing the finish line first. The 21-year-old boasts elite endurance and is training with the Saints in the lead-up to the 2018 NAB AFL Draft. Fresh off a two-year contract extension, Jack Lonie impressed with a strong performance, while Josh Battle has returned fit and raring to go after a concussion scare ended his season early. Rowan Marshall didn't let his 201cm frame hold him back, the now senior-listed Saint finishing in the front half of the pack. A second time-trial will be held when the main group returns, with endurance kings Jarryn Geary and Dan Hannebery set to be added to the fold. Jack Steele missed the session due to illness, while Dan McKenzie is on his way back to Australia after visiting Shanghai alongside Jack Billings and club staff. Paddy McCartin is on a modified program but completed a running session with Dan Hannebery earlier in the morning.